On Maui, there is only one Zippy’s which took four years to build. I kept wondering how long it would take because the sign said “Zippy’s Coming Soon!” Four years later, it was finally open. My husband was relieved but thinks the prices on Maui are higher than on Oahu. He is fond of Zippy's mahi bun deluxe (mahi is a white fish that Zippy's breads and deep fries). I heard a story about Oahu life, and the writer said life on Oahu was “going back and forth between Longs (a drug store), Foodland (local supermarket chain) and Zippy’s.” This is not an exact quote. Since Zippy’s is open 24 hours, last time I looked, it’s a place you can always get fed. Some photos of Zippy's including the take out chili. because I didn't want them to be recognized. Zippy’s is also well-known for their chili. 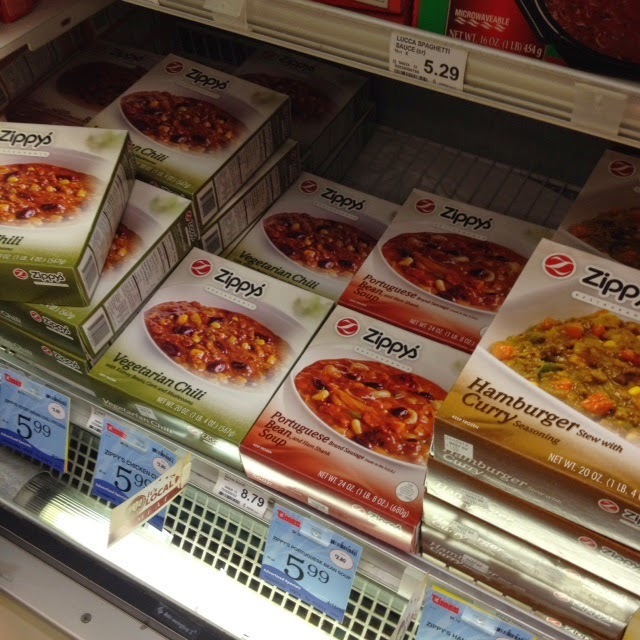 I’m not sure why or how Zippy’s chili became so popular, but it’s available in the frozen aisles of most Hawaii supermarkets. There’s even a vegetarian version. Zippy’s also offers their chili as a local fundraiser for schools, churches and nonprofits. If you live in Hawaii long enough, you’ll probably end up going to Zippy’s sometime. Zippy's chili also comes in vegetarian versions. They also make hamburger curry and Portuguese Bean Soup, carried in the frozen aisles of local supermarkets. different style from more traditional Indian curries. Portuguese Bean Soup is another local favorite. Yum! That bakery looks very inviting. We don't even have a Denny's here in Nashville...just Shoney's, which is not good at all. Aloha! 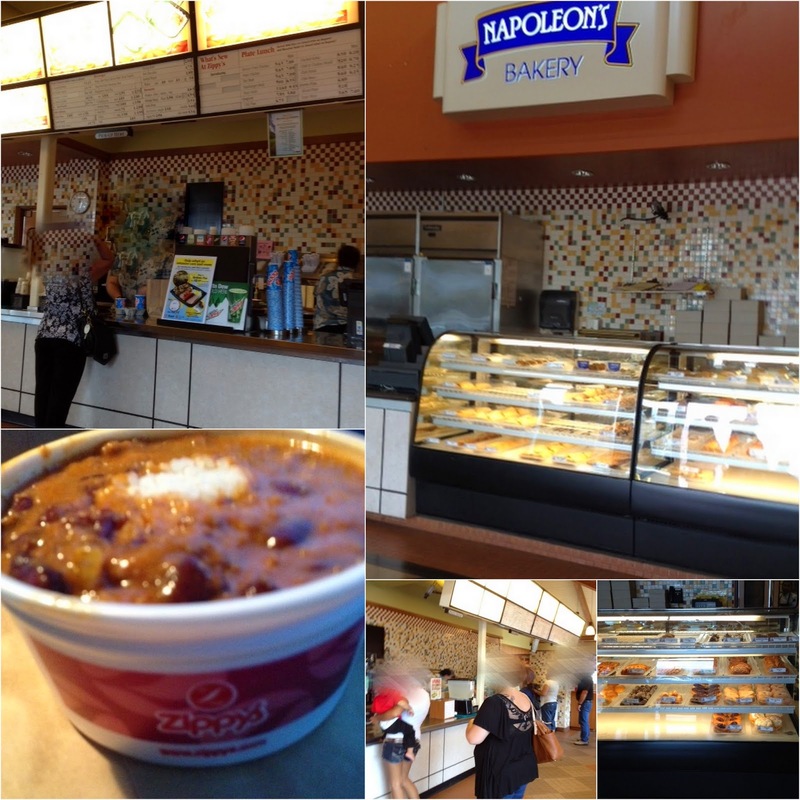 Mahalo for taking the time and blog about our Zippy's location on Maui! It's wonderful to hear from our customers. Have a great day! What a surprise! Mahalo for commenting. Not familiar w/ Shoney's. I think I ate at Applebee's once, I imagine you must have some good "eats" in Nashville though. Wow, four years to build the Zippy's sounds like a really long time. Like cruel teasing to those whose mouths were watering in anticipation. I'm not sure if I've ever been to a Denny's, but maybe Zippy's would compare also to Perkins, which I've been to a bunch of times. Droool.. I was participating in a twitter chat w/ @realityabroad #RATW this AM 6 AM EST, and we were talking about baguettes, cheese, chocolate, and other food. Yum. Not familiar w/ Perkins. Pancakes? We have an IHOP here but no Applebees. One Denny's. It's a good place to check out. Not fancy. I also love Da Kitchen - a great local food place with at least 2 locations on Maui. If I were there, I'm sure I'd be checking Zippy's out. Around here, the best place for 24 hour breakfast food is called Ol' South. They serve up these incredibly amazing German pancakes. The server even preps them right at your table, squeezes fresh lemons on them and powdered sugar. Oooooh, I could eat them now! I found it (the Z post). I don't know why the link brought me to your X post. I like the name! Catchy. Good marketing. It sounds like it's a god place to eat while visiting Hawaii. Those kinds of places are always the best--that have some kind of locally famous sandwich, soup, or dish. You too! It is often pretty zippy, except sometimes during lunch hour at the take out counter. Cracker Barrel,how did I manage to not ever eat at one? Well, next time I'm down south. Uh oh, Found a missing comment, this one by Tui Snider of www.mentalmosaic.com/blog. Congrats for making it to the end of the challenge.